Make your way to the top by stacking up your promotional game with some personalized Stackable Pitchers. These pitchers can easily be stacked to store away easily. These pitchers make a great way to have beer or soda service. The clear pitchers are made from plastic so they won't shatter when dropped. This durable plastic can be customized with your personalized logo. 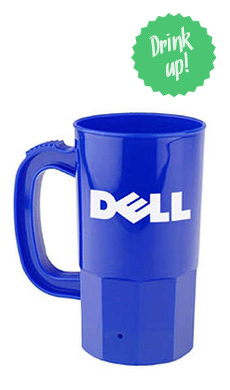 Your personalized logo can be imprinted to these pitchers in one or two colors. This makes it an easy way to promote your company at any time anywhere. Fantastic. Double sided. Logo just as imagined and 1 week turnaround. Thanks!